Last year I purchased Sachiko Morimoto’s Stumpwork Flowers and quickly, upon viewing the pages, decided on several of her designs that I wanted to stitch. I used her Clover design as the basic for this worked piece. Because I haven’t found a lucky four-leafed clover in years I decided to create one for myself and changed one of her design’s three-leafed clovers to a four-leafed one. I started working on my concept of her design first using water colors to paint a faint background of a early spring (just leafing out) tree behind a field stone fence. 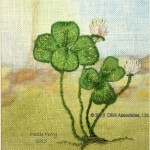 Then I placed guide lines on my painted fabric and begun to stitch the clovers. 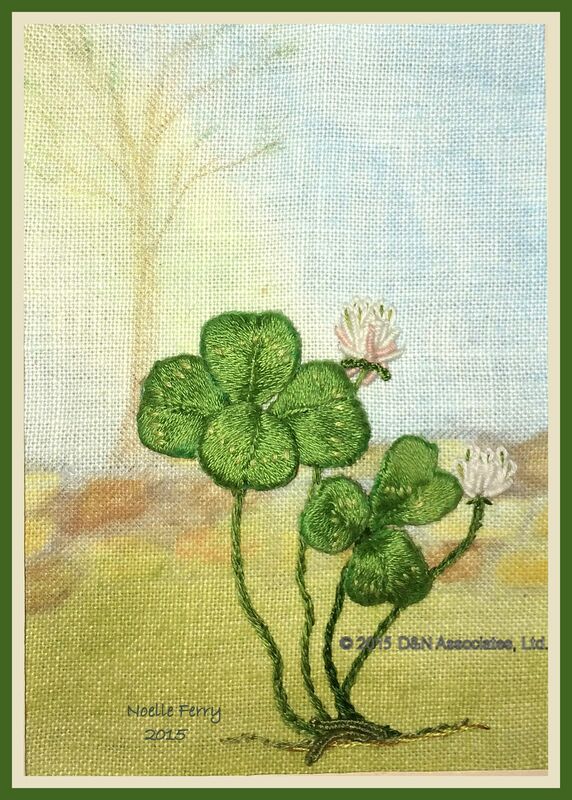 The clover leaves are stump work, everything else is embroidered directly onto the fabric. The finished worked area is about five inches by seven and I have matted it to show a 3.5 by 5 inch area. 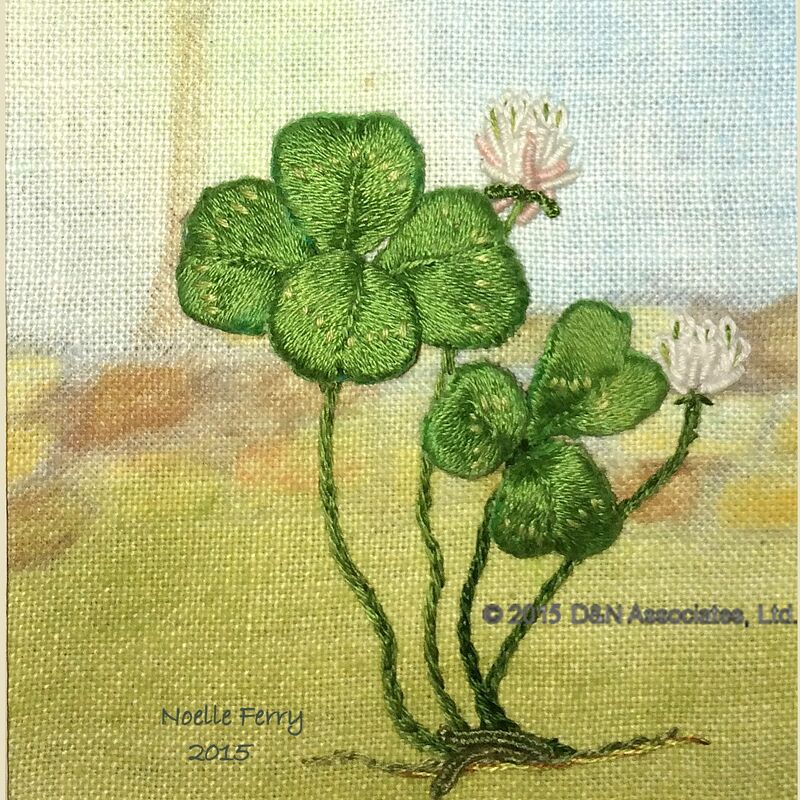 I did not use the colors suggested in the book but chose DMC stranded floss from my stash.